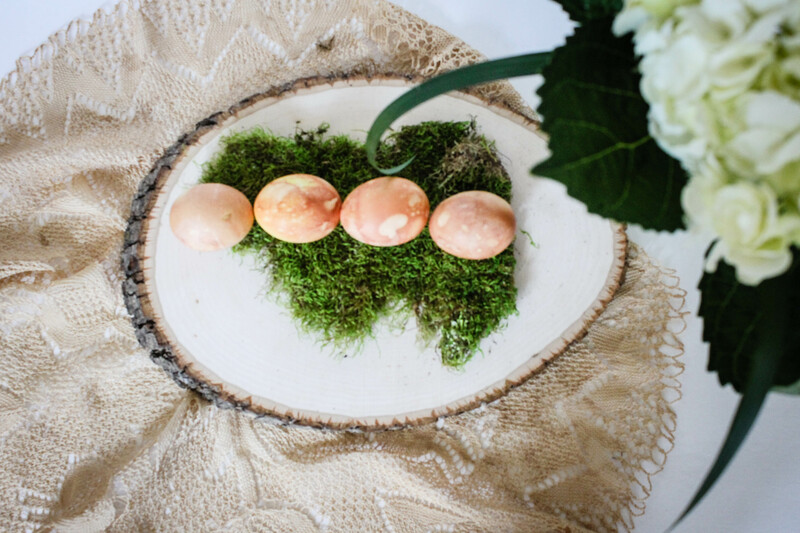 I think it’s safe for us to say that Spring is finally here, and we are more than eggcited to be able to share with you one of our first Spring projects: Easter eggs! 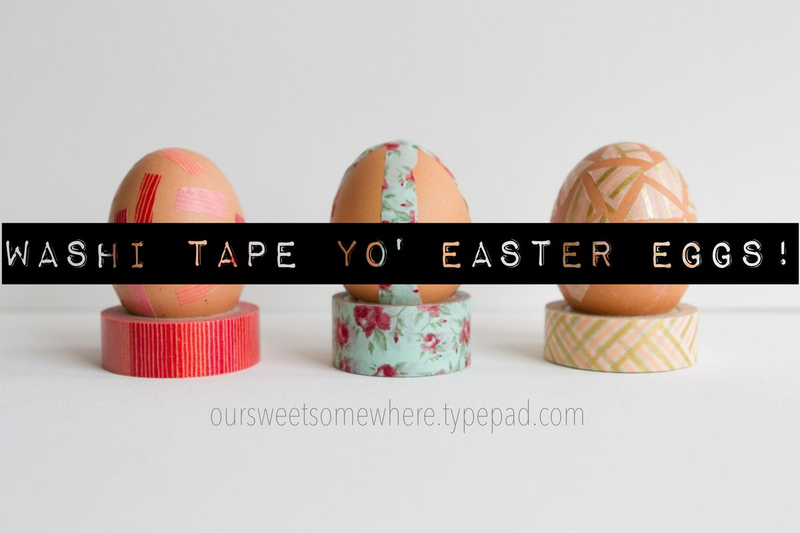 It’s a fact: I am a washi tape hoarder (blink twice if you have the same issue)! 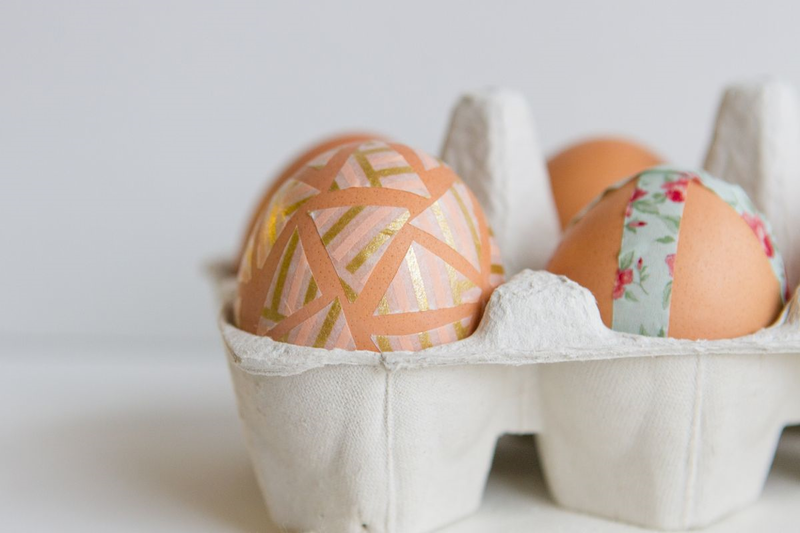 For that reason, I decided to continue making the most out of my washi tape collection by simply applying it to my Easter eggs! 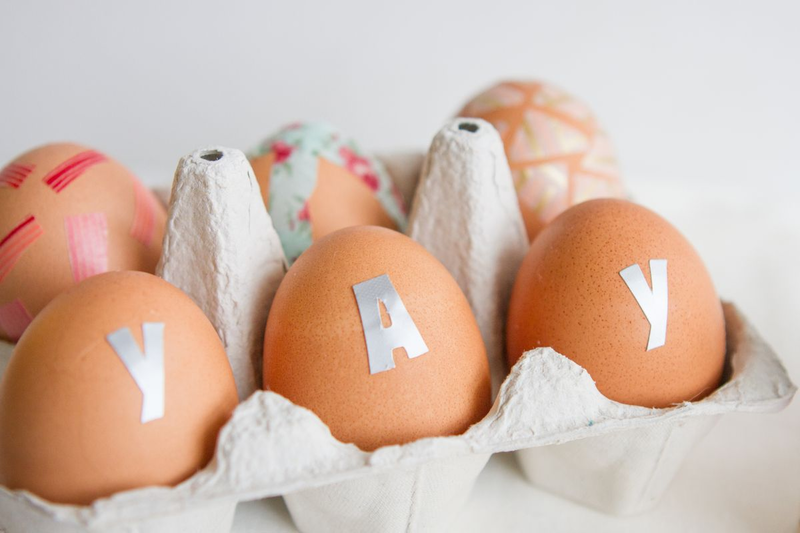 This DIY is so easy, you could practically do it in your sleep (well, minus the part that requires you to actually use a stove for preparing your eggs). 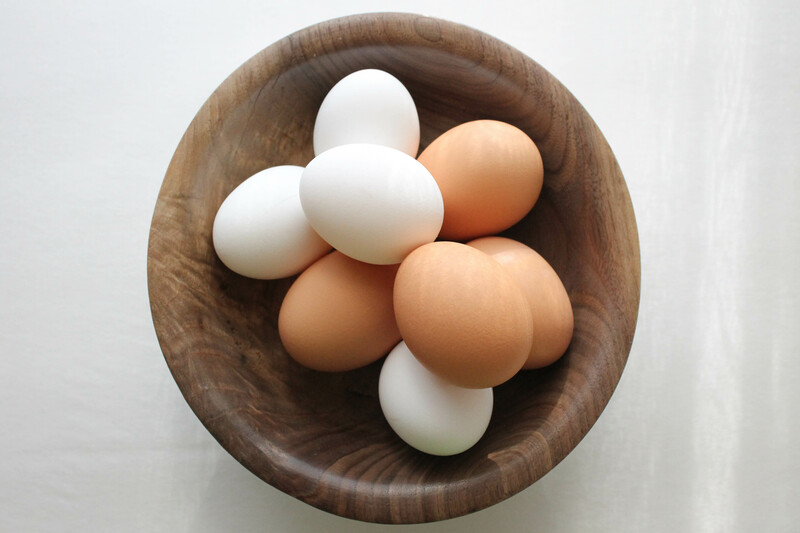 Boil your eggs the perfect way and once they’ve cooled from the ice water, dry the outer shells. 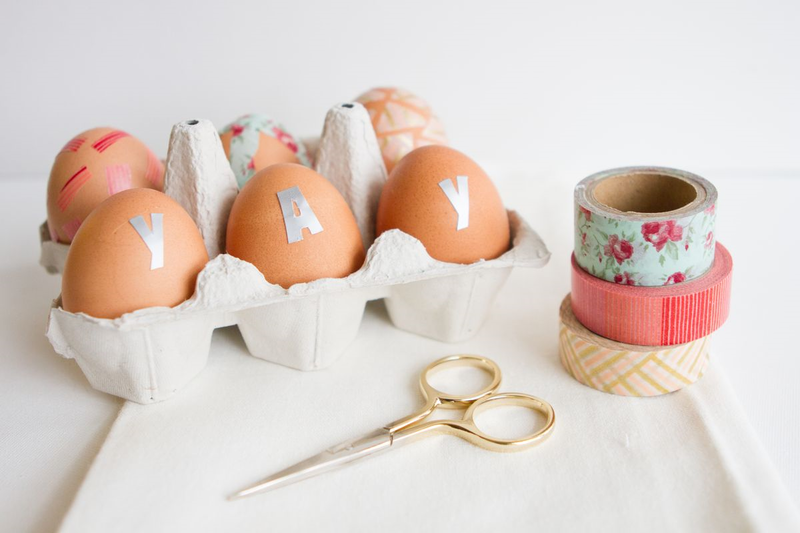 From here on, allow your creativity to flow and design your Easter eggs however you please with the washi tape. As you can see below, I kept mine very simple but also used some scrap alphabet stickers I had lying around to add some quirk to the little batch I had prepared. I must give credit for my Easter eggs to a teacher at my work. 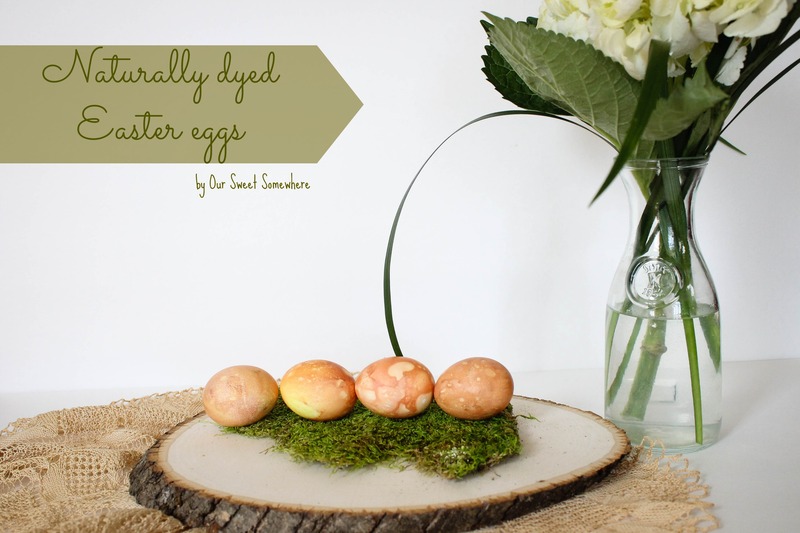 She told me how she used naturally dye eggs with her daughters by using onion skins. When she shared how easy it was, I knew I had to try to share the process with you! She had only ever used purple skins and white eggs, so I decided to experiment a little with other combinations. The results were mixed. 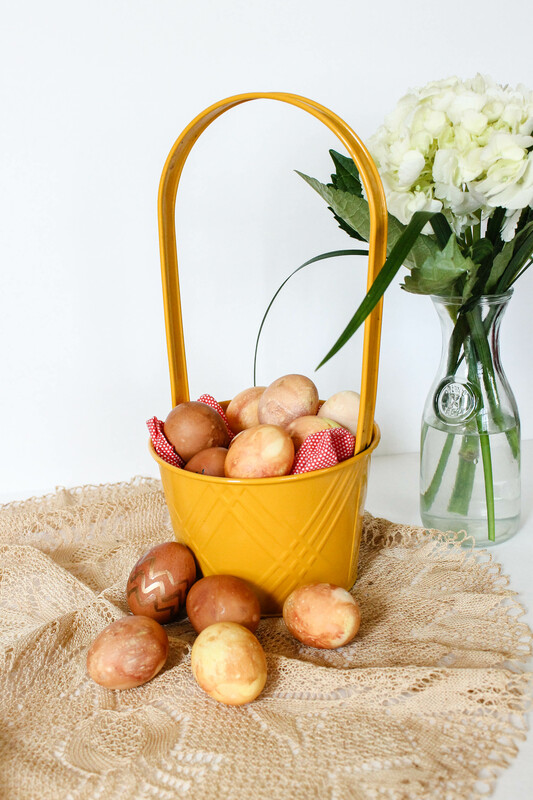 The yellow skins make beautiful dyed eggs, but only on the white eggs (obvious yes, but I had to try to be sure!) The purple worked well on both the white and brown eggs. 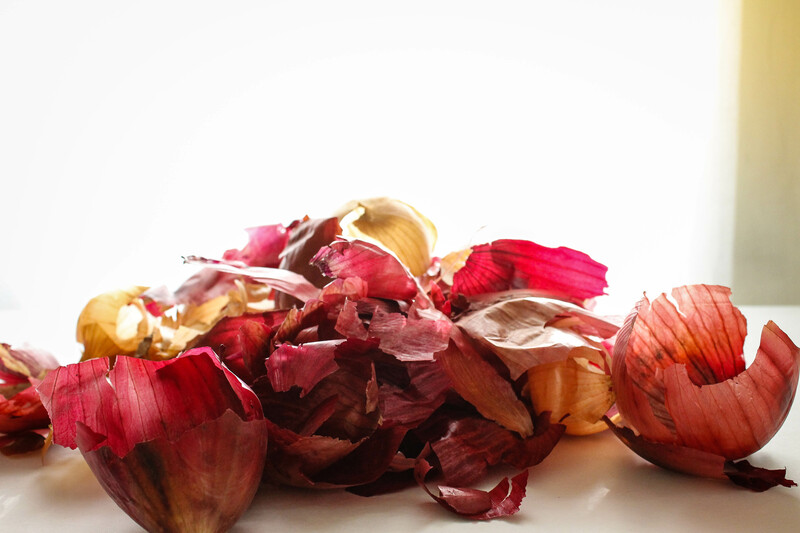 A hint on getting enough skins without buying pounds and pounds of onions – just asks the produce guy or gal for them! I usually have plenty of yellow onions on hand, but I rarely use purple. So I asked the produce clerk at my local grocery store if I could just have a bag of purple onion skins and he was more than happy to have me pick out as much as I wanted. He said he usually goes through them and throws out the loose skins from the bin, but if I have a purpose for them to take them for free! Look at all that natural dye, and all for free! 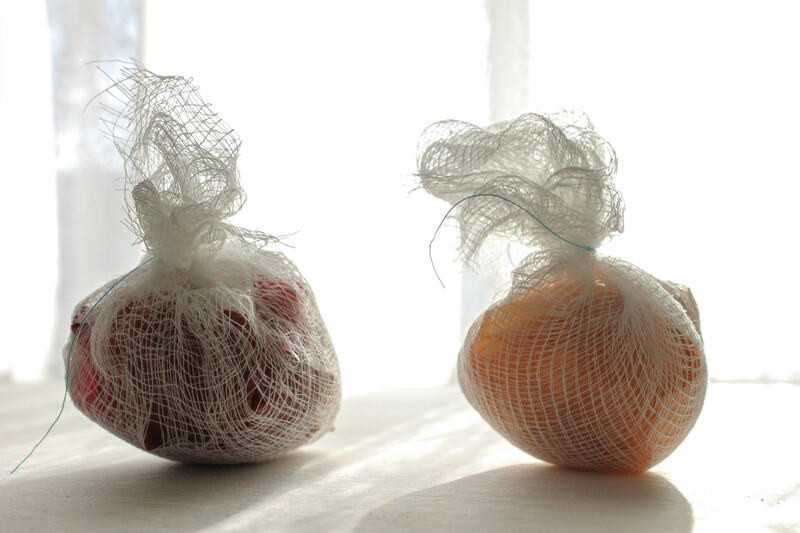 Wrap some onion skins around your egg and then the cheesecloth around the two. Secure with a string. 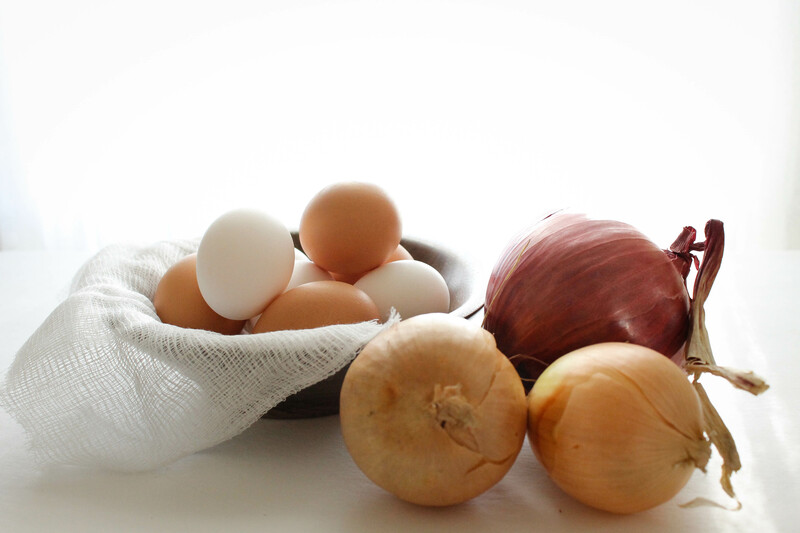 Divide your yellow and purple onion skin eggs and submerge in two separate pots of cold water. 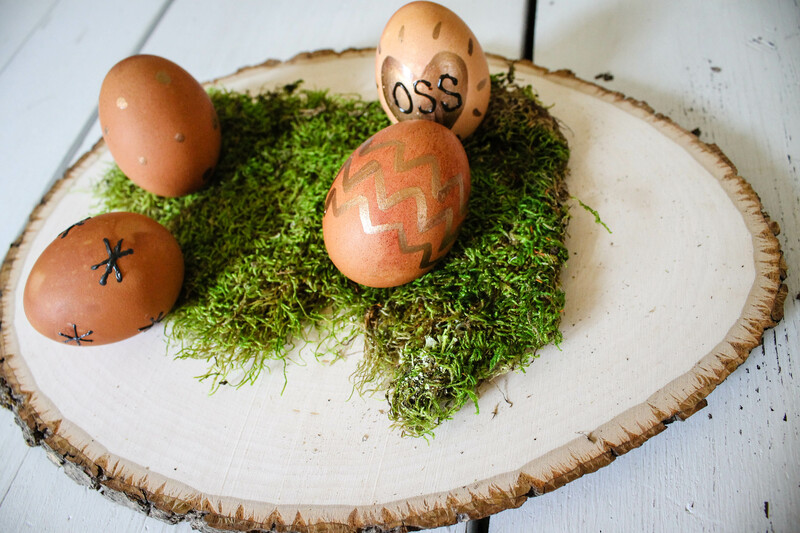 The water should be about one inch above the eggs. Cover and bring to a boil, remove from heat and let sit for fifteen minutes (keeping covered!). 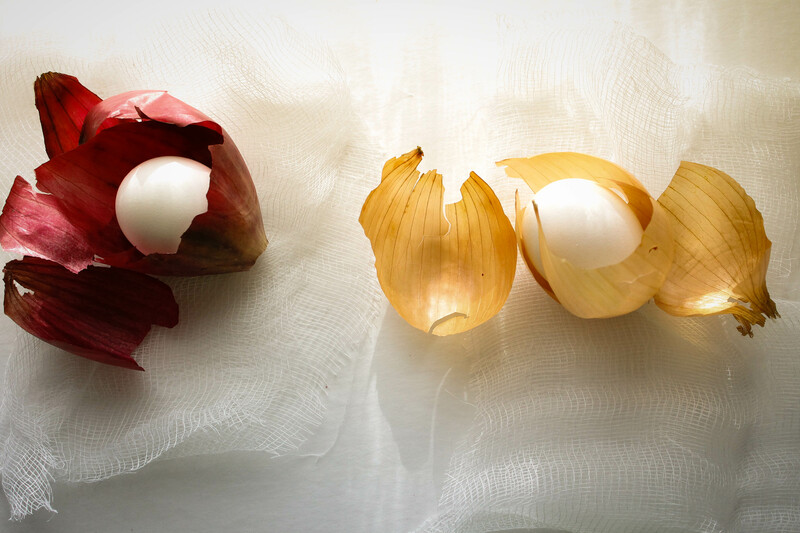 Transfer onion skin eggs into an ice bath and finish cooling. 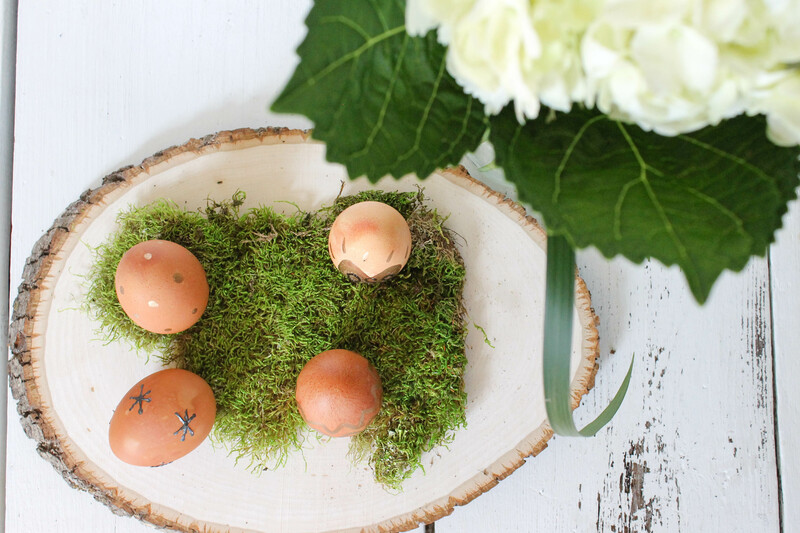 Once cooled, you can carefully unwrap your eggs and see your masterpiece! 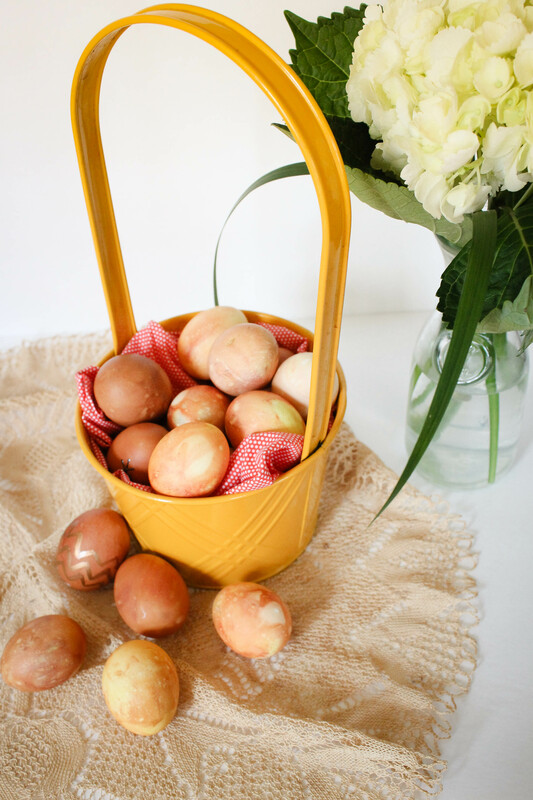 The brown eggs that I attempted to dye with yellow onion skins were not a total fail. They came out as a much deeper brown with more speckles and were very pretty. However, to give them a little something extra so they stood out even more I painted them with some gold leaf paint! 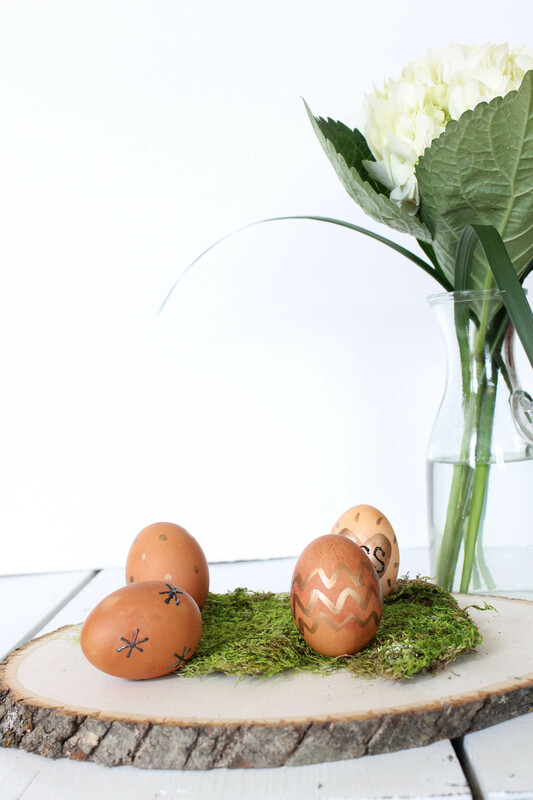 I am in love with my Easter egg creation and can’t wait to have them sitting out on the table for Easter dinner!